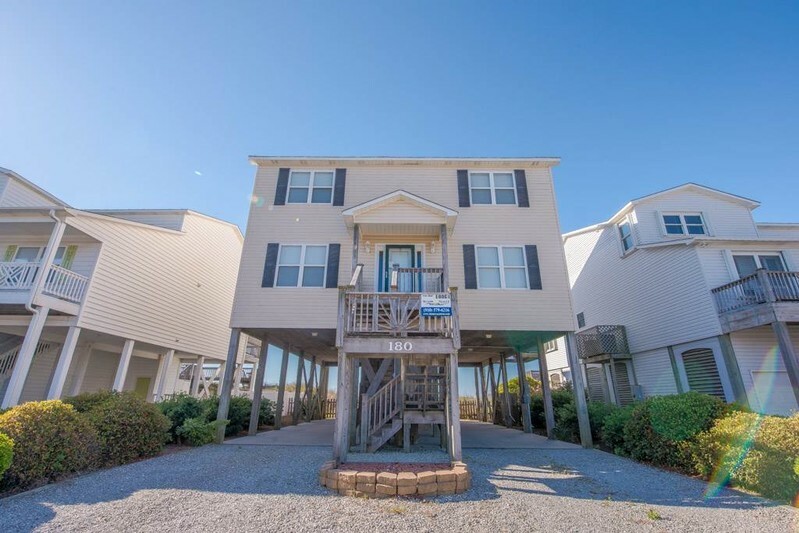 Spacious 5 Bedrooms, 5 Baths, Oceanfront beach house offering all the conveniences of home. Comfortably furnished, 5 CCTV'S, 2 DVD's, Wireless Internet Access, Stereo, CD. Ceiling fans throughout. Spacious living room has a fireplace. Fully equipped kitchen includes microwave, dishwasher. Washer/Dryer. Covered Porch with rocking chairs, sundecks, charcoal grill, enclosed hot/cold outside shower. Private beach walkway. Non-Smoking! No Pets! Sleeps 16. Bedding: Down: Queen, 2 Doubles UP: 2 Doubles, 2 Doubles w/ large sitting area, Queen. Linens NOT provided with this property, but may be rented for an additional fee.